The project entitled ‘Family Photo Project – We Are a Family’ will receive applications through Bae Yong Joon’s official websites established in different countries, and the participation will be determined on a first-come first-served basis. 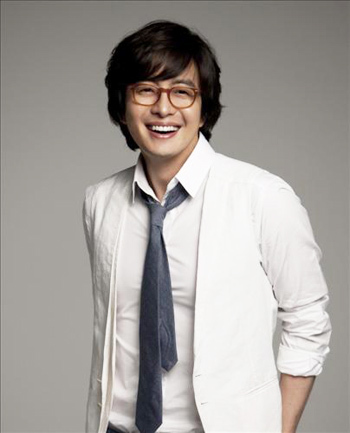 In addition, Bae Yong Joon will appear in the charity event entitled “Smile Project – Message to Asia” to be held at the Tokyo Dome in Japan on December 14 along with Kim Hyun Joong and Hwan Hee. dear By yong, why its so hard to found a reply from u. when or where? please juz at least reply to me on yuviaiken@yahoo.com on facebook.com. am one of ur fanz here on guam. am here and wish u the best. luv u by yong and miz u. god bless u and ur family.